Living in the Portland area, we tend to be kind of spoiled with 30+ breweries in close proximity. Knowing we had an entire week out in the Eastern part of the state, I did a little research on breweries ahead of time. There aren’t a lot in the same area, but more on that later. 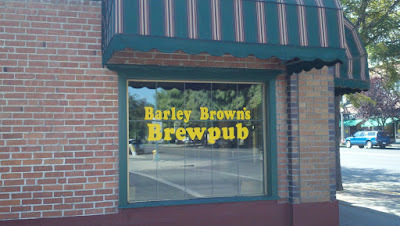 The notable ones that I wanted to visit were Barley Brown’s in Baker City, and Beer Valley in Ontario. 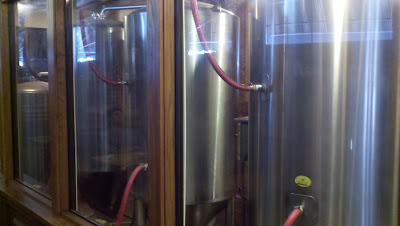 I had enjoyed beers from both brewers at places such as Beermongers, Saraveza, Plew’s and Belmont Station. I wanted more! Something cool happened while talking about with fellow #pdxbeergeeks about this on Twitter. 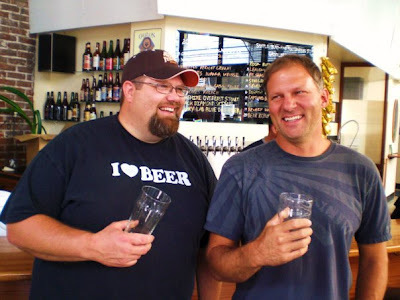 I had a few messages from Shawn Kelso, @BarleyBrewer, the brewer from Barley Brown’s! He asked me to let him know when I got into Baker City so we could meet. Awesome! Anyway, after spending our first night at Emigrant Springs State Park (near Pendleton), we left for our main site, Farewell Bend State Park (below), about 20 miles North of Ontario. Beautiful, huh? The two parks are only about 120 miles apart, but this was on Labor Day. Everything was pretty much closed. I couldn’t stop anywhere between campgrounds for lunch or dinner. 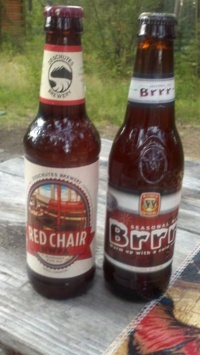 That night I had to rely on what I had in my cooler, Deschutes Red Chair NWPA and Widmer Brrr. Not bad to fall back to, but I wanted the fresh stuff! I felt pretty geeky sitting outside the pub waiting for 4pm to roll around. I had flashbacks to the days of waiting at the theater for the premiere of Empire Strikes Back. My family sat in the van with me, patiently reading their books. At last, it was 4! The doors opened and they started moving tables and chairs out to the (large) sidewalk for those people that wanted to eat outside. We were invited inside. Wait – you think I sounded like a geek in the last paragraph? . . . . Any Dr. Who fans out there? From the outside the pub looks like it is kind of small. This was like walking into the TARDIS. I ordered my taster tray (Only $6!!!) and asked the server to let Shawn know we were there, as he had asked. 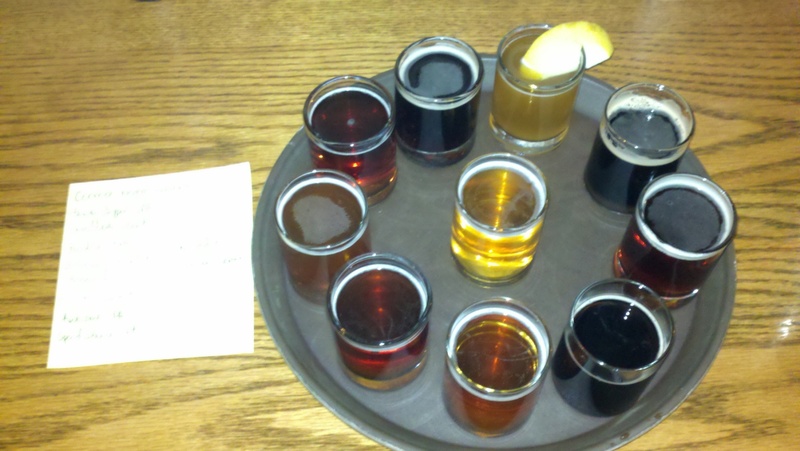 On the taster tray, starting with the obvious….the sample with the lemon is the Coyote Peak Wheat, a nice American Hef. Clockwise from there, we have the Awesome CDA, Speed Wobble IRA, Cerveza Negra Caliente, Tankslapper IIPA, Shredder’s Amber Wheat, Tumble Off Pale Ale, the Whiskey Malt, and of course, Turmoil CDA. The beer in the center is the Jubilee Golden. Not paying attention, I went with the first beer the server wrote on the list, the Cerveza Negra Caliente. Yeah, okay, I haven’t taken any Spanish classes, but yes, I do know that caliente means hot. I just wasn’t thinking. This was a pepper beer. Great way to burn the palate at the start of a tray. I like pepper beers if they aren’t too overpowering and this was a great example of how to do it well. It was just unexpected. Right after I got surprised by this spicy beer, Shawn came out and we talked for about 5 or 10 minutes. I had to admit to him that I wasn’t expecting the peppers for my first beer. We talked about brewing (of course) and about fresh hops (three days before, my brewing partner and I had made our first fresh hop IPA). Shawn tells me he isn’t sure if he will get to a fresh hop beer this year. He just “doesn't have a lot of tank space and time to rally up some hops”. 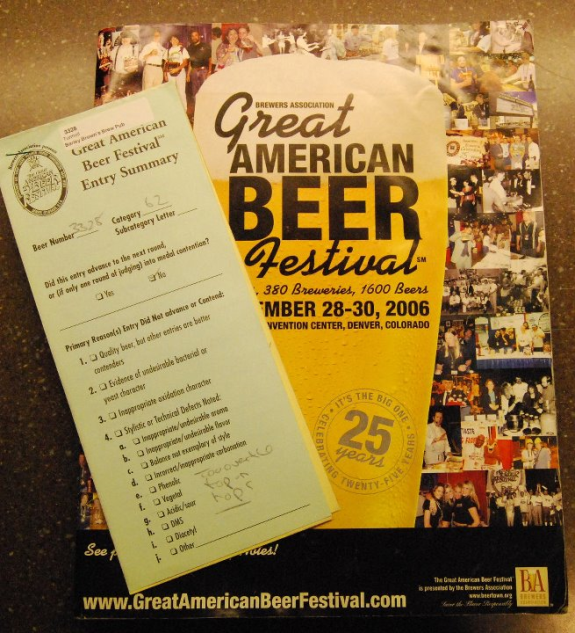 I learned that the Awesome CDA was a beer that Shawn had brewed with local home-brewer, Jason Spriet for the Pro-Am competition at the Great American Beer Festival (GABF). This was Jason’s award winning recipe. I had just tried Awesome a few days earlier at Belmont Station, a remnant from the CDAbe-Fest. If you are going to the GABF this year, Shawn and Tyler from Barley Brown’s will be there, pouring Awesome, along with their GABF medal winning beers: Turmoil CDA (2010 Gold), Shredders Wheat (2010 Silver), Disorder Stout (2010 Silver), Tumble Off Pale Ale - multi time medal winner, TankSlapper and WFO IPA. Pretty cool stuff! I got back to my taster tray and started in on dinner. The Caliente went very well with my meal, the Death Burger (two patties, onion rings, cheese, a slice of ham). Great combo. About 15 minutes later, somebody else comes out to me with a lovely parting gift. This was friggin’ amazing! They gave me a bottle of their 2010 Chaos! This made my day….hell, it made the entire trip for me. The bearer of the bottle was Tyler Brown, the owner of Barley Brown's! We talked for a few minutes about some of the beers I had been sampling and then my family and I got back to dinner. Here’s a photo of Shawn (left) and Tyler swiped from their website. I liked all of these beers, but my favorites were the Tankslapper and the two CDAs. In fact I saved the Turmoil and the Awesome for last to try side-by-side. The Turmoil gave me an almost coffee flavor, while I got more of a roast grain flavor from the Awesome. While it was a close call, I had to give the nod to the Awesome…what can I say, I like the deep roast flavors. From what I remember, the 3 fermenters in the earlier picture all had a 4-barrel capacity and Shawn works hard to keep their beers in constant production to keep up with demand. We are so lucky that Tyler and Shawn take the time to drive the occasional keg out here to the Portland area! Smart thinking, though… The pub has just completed the purchase of this building across the street and they are just now planning for expansion. Tyler and Shawn are whetting our appetites for more possible beers to make their way out to PDX! Tyler said the whiskey malt is a local favorite and that people will wait for it to come on tap for growler fills. I was told Lisa Morrison had recently paired it with cheesecake at a beer/food pairing event. Tyler and I also talked about the GABF and how Turmoil was received before there was a category for black ales. Did I mention that Turmoil won a Gold medal at last year’s fest? Another tidbit . . . Tyler and Shawn took Turmoil to GABF for the first time in 2006. They had some repeat visitors at their booth from Stone Brewing. Strangely enough, the next year, the Stone 11th anniversary beer was a "black IPA." 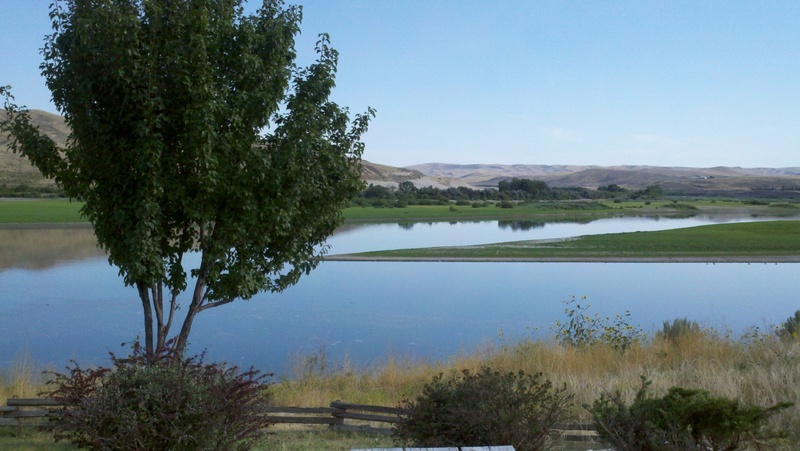 Remember the Bend Ale Trail that I wrote about a few weeks ago? Turns out there will be an Eastern Oregon version, a beer tag, like a hunting tag to fill out. This Eastern Oregon Barley Trail will involve a lot more work than the Bend trail, though. To fill out the tag, you will need to visit Prodigal Son in Pendleton, Mt. 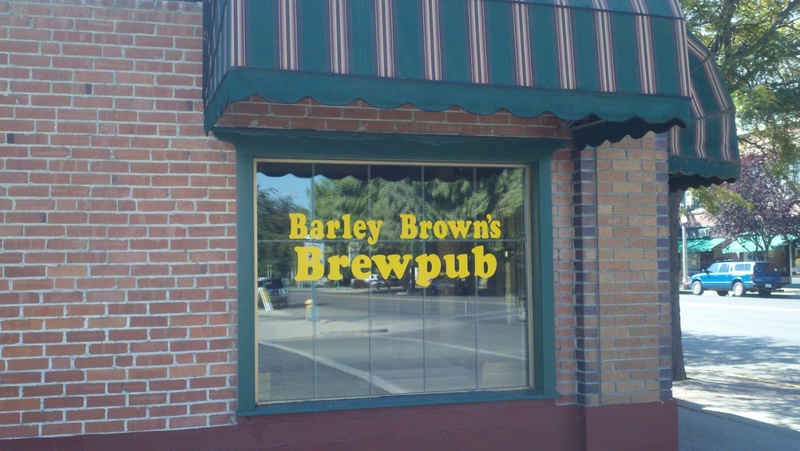 Emily in La Grande, Terminal Gravity in Enterprise, Mutiny Brewing in Joseph, Barley Brown’s in Baker and Beer Valley in Ontario. 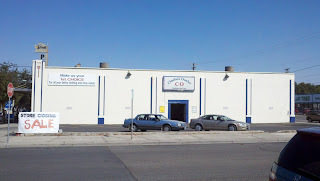 Pendelton is at milepost 210 on I-84, Ontario at milepost 376. Enterprise and Joseph are to the Northeast of La Grande, on US-82. Tyler and I talked about some of the other breweries on this “trail”. He highly recommended the Prodigal Son brewery in Pendleton, so we made sure to go there for dinner on the last night of our trip. 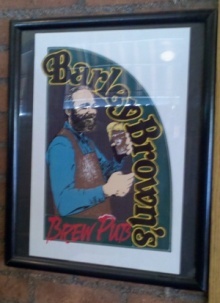 Overall, I had a great time at Barley Brown’s Brew Pub. If you are driving through Baker City and can make it there for dinner time (they open at 4pm, Monday thru Saturday) it is well worth it. The beers are consistently good or great, as is the food.